"The EOGM was an emotional meeting with many heated exchanges. It was not a model of calm deliberation and patient consensus building." Breaking News: Malaysia confirms its first H1N1 flu case, says top health official Ismail Merican. Announcement: Stay tuned for TOC’s very special feature on Monday, 18 May. You shouldn’t miss it. The following is Deputy Prime Minister and Home Affairs Minister, Wong Kan Seng’s comments in response to media queries related to Aware. The Government’s position on this issue is clear. It was stated by the PM in Parliament on October 2007, and it has not changed. In his speech, PM said that Singapore is basically a conservative society and the conventional family, a heterosexual stable family, is the norm and the building block of our society. However, we recognise that homosexuals are part of our society. They have a place in our society and are entitled to their private lives. This is the way the majority of Singaporeans want it to be – a stable society with traditional, heterosexual family values but with space for homosexuals to live their private lives and contribute to the society. The Government was not going to be pressured into changing its position on homosexuality before the takeover of AWARE. Nor does the Govern ment intend to change its position now that the old guard has recaptured AWARE. The debate on Sec 377A of the Penal Code showed how the homosexuality issue polarised our society. Advocates on both sides were passionate and vocal. In the recent AWARE tussle, homosexuality was clearly a major issue to both sides. This is unproductive and divisive. Our society will not reach consensus on this issue for a very long time to come. The way for homosexuals to have space in our society is to accept the informal limits which reflect the point of balance that our society can accept, and not to assert themselves stridently as gay groups do in the West. We live in a diverse, multi-racial and multi-religious society. Every group, whether religious or secular, has to live and let live, to exercise restraint and show mutual respect and tolerance. If any group pushes its agenda aggressively, there will be strong reactions from the other groups. Many Singaporeans were exercised by the leadership tussle in AWARE, and have expressed their views, for and against, in our newspapers and on the Internet. The Government has been very careful in its comments, especially before the EOGM, as it did not want to be misunderstood as taking sides. Who controls AWARE is not important to the Govern ment. As I said, Govern­ment policy on homosexuality is settled, and will not change as a result of lobbying by pressure groups. However, the Government was worried about the disquieting public perception that a group of conservative Christians, all attending the same church, which held strong views on homosexuality, had moved in and taken over AWARE because they disapproved of what AWARE had been doing. This raised many qualms among non-Christians, and also among Christians who believed that this was an unwise move in a multi-racial, multi-religious society. It was much more dangerous because now religion was also getting involved, and it was no longer just the issue of homosexuality. 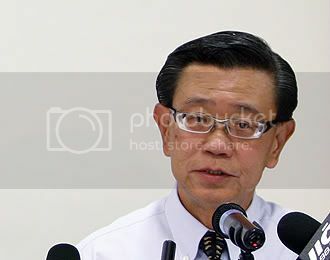 I was grateful therefore that Dr John Chew of the National Council of Churches of Singapore (NCCS) issued a clear statement that the NCCS does not condone churches getting involved in the AWARE dispute. Leaders of different religious faiths have also come out to reinforce the NCCS message. Their statements provided clear guidance to their followers. I felt it was important for me to endorse the NCCS statement publicly, and explain the Govern ment’s deeper concerns. Had it not been for these sober statements from religious leaders, we would have had serious problems. Religious individuals have the same rights as any citizen to express their views on issues in the public space, as guided by their teachings and personal conscience. However, like every citizen, they should always be mindful of the sensitivities of living in a multi-religious society. All religious groups will naturally teach their followers to follow the precepts of their scriptures, to do good and to contribute to their society. The groups will naturally have views on social and moral issues. But we are not a Christian Singa pore, or a Muslim Singa pore, or a Buddhist or Hindu Singa pore. We are a secular Singa pore, in which Christians, Muslims, Buddhists, Hindus and others all have to live in peace with one another. This calls for tolerance, accommodation, and give and take on all sides. If religious groups start to campaign to change certain government policies, or use the pulpit to mobilise their followers to pressure the government, or push aggressively to gain ground at the expense of other groups, this must lead to trouble. Keeping religion and politics separate is a key rule of political engagement. Religious groups and individuals who hold deep religious beliefs are often active in social issues, and make important contributions to the well-being of our society. Individuals who commit themselves to social or public service are often motivated by their religious convictions. And many religious groups do good work serving people in need, regardless of religious affiliations. We welcome that. They set the moral tone of our society, and are a source of strength in times of adversity. However, our political arena must always be a secular one.Our laws and policies do not derive from religious authority, but reflect the judgments and decisions of the secular Government and Parliament to serve the national interest and collective good. These laws and public policies apply equally to all, regardless of one’s race, religion or social status. This gives confidence that the system will give equal treatment and protection for all, regardless of which group one happens to belong to. I think the AWARE episode showed clearly how passions and emotions naturally run high when it concerns an issue or cause salient to people’s beliefs or interests. The EOGM was an emotional meeting with many heated exchanges. It was not a model of calm deliberation and patient consensus building. Both sides must now calm down and move on. Singa poreans are becoming more educated and informed, and we are opening up more space for people to express alternative views. I have no doubt that we will see more tussles between people holding different points of view, often anchored in their personal convictions and beliefs, on issues which they consider vitally important. Many different communities share this tiny island. If our diversity is not to become a source of weakness, we must manage such disagreements in a responsible and balanced manner. We can articulate our views passionately without denigrating others; we can agree to disagree without being disagreeable. The Government has to maintain order, and hold the ring impartially. It encourages the development of civic society, and gradual widening of the OB markers. But it will not stand by and watch when intemperate activism threatens our social fabric. The need to behave responsibly applies no less to those who participate on the Internet. The fact that the Internet offers a measure of anonymity to an individual should not change who he is as a person and how he conducts himself. Ultimately he remains no less accountable for the consequences of his action in cyberspace as he does in the physical world. The two realms are part of the common social reality of our lives today. I do not believe that those who are against homosexuality are afraid to speak out. However, I would caution restraint on both sides, for and against. We must not import into Singa pore the culture wars between the extreme liberals and conservatives that are going on in the US. On the whole, our religious communities have played a positive role in our society. The maturity of our religious leaders and the restraint and sense of responsibility of their followers have helped to make this a communally peaceful society. We must keep it that way by observing the rules of engagement. This applies also to the media. The media plays an important role reporting on the issues, the groups and the personalities involved. They need to do so dispassionately and impartially. MICA had analysed the volume, tone and objectivity of the coverage of the AWARE episode, and found it wanting in some respects. Some of the coverage was excessive and not sufficiently balanced. There were indeed important issues at stake, such as the proper limits for religious activism. But the AWARE episode was surely not the most important challenge facing Singapore, deserving such extensive and even breathless coverage. Whatever happened in AWARE was not going to change Singapore, or the Government’s social policy. Journalists should not get caught up in the stories they are reporting, however exciting the stories may be. MICA has given this feedback to the editors.